Tight on time this week, but want to get in a quality workout? Looking to burn a set number of calories in less time? 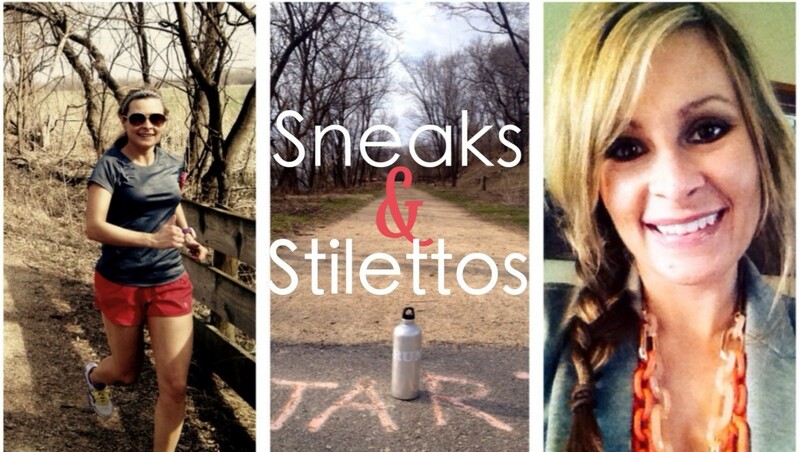 Running short on time for that last mile on your training plan. Whenever I run on the treadmill I always set the incline to at least 1% to better simulate the uneven ground I’d be running on if I were completing the same distance outdoors. 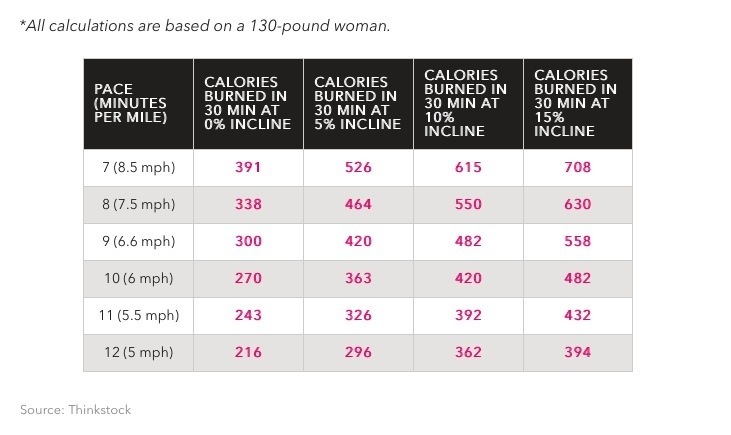 I never thought about the workout also burning more calories until I came across this chart. By increasing the incline on the treadmill you challenge your body to work harder and burn more calories. Check out the chart below to see how you can up the challenge and calorie burn on our next indoor run. Adding in a variety of inclines throughout the workout will make your muscles work in new ways and better simulate outdoor running. Changing up the incline on your run will also help cut down on boredom and the feeling of wanting to throw your iPhone at the wall on yet another treadmill run this winter.